Using Multicultural literature in the Secondary Classroom with Kathy Neilson was a fantastic session. I love the invitation to use picture books as a spark for secondary classrooms. 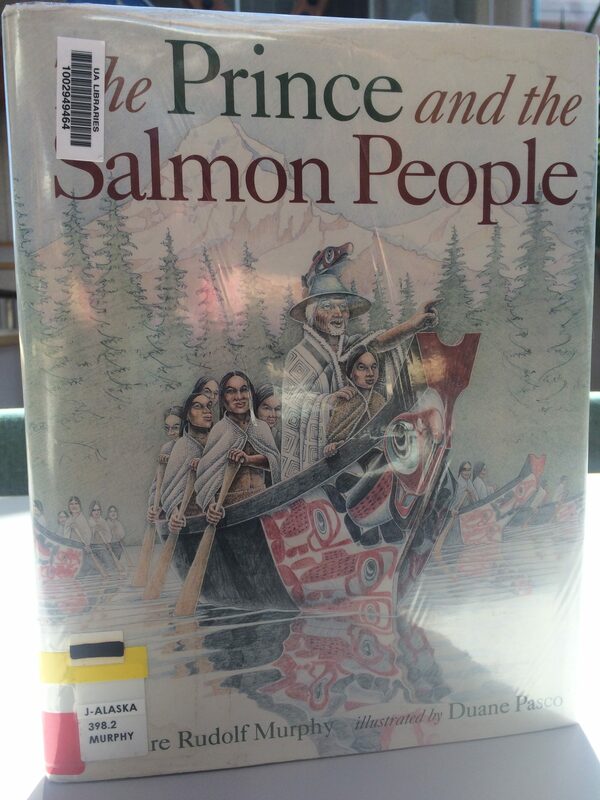 I chose book The Prince and the Salmon People written by Claire Rudolf Murphy and illustrated by Duane Pasco. 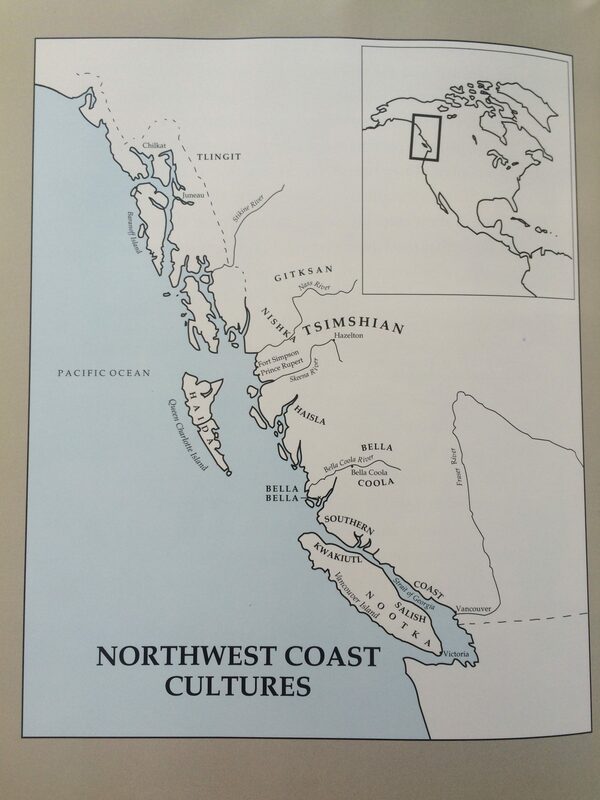 This Tsimshian narrative is familiar to me, but is a different version than the Tlingit version Aak’wtaatseen. Based on the rubric for evaluating multicultural literature I felt the quality of the literature was well-developed plot, setting and characters, point of view and dialogue interwoven in interesting story. 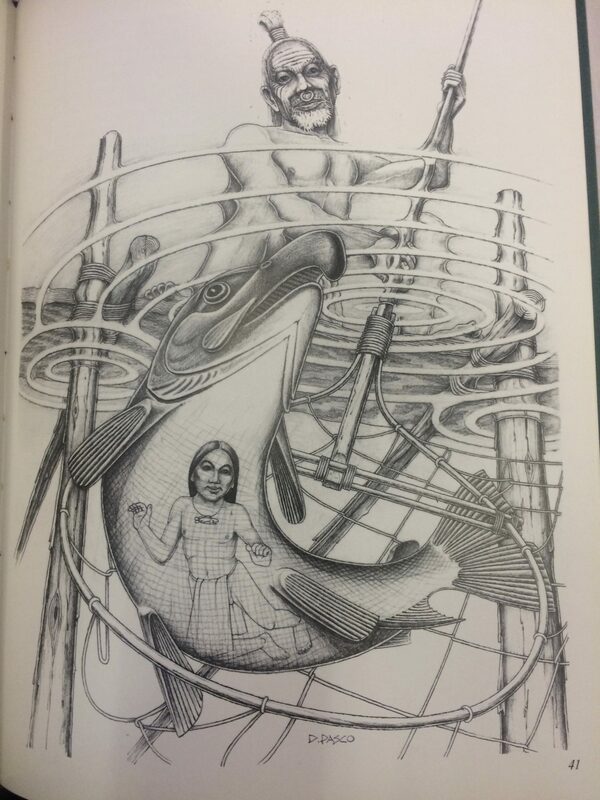 The illustrations were also of high quality. 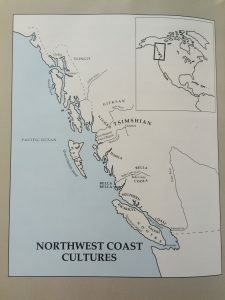 While this book was not written by a Tsimshian person, it was obviously deeply researched and reflective of oral narratives and a deep understanding cultural behaviors. I especially enjoyed that photos of artwork, clothing and aat.oow and information that the illustrator based his illustrations off of. The characters are not exaggerated in relation to their culture. Diversity of physical characteristics of characters within the cultural group portrayed. The author did not shy away from addressing status or cultural hierarchies and did not mythicize the shaman character, even providing the research and acknowledgement of shamans as holy people or scientists. 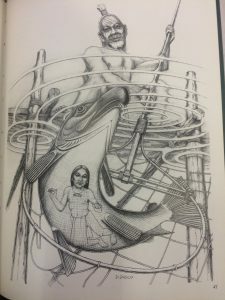 The setting was authentic, drifting between our world and the salmon people’s world and back. I enjoyed how the author also included a map and photographs of the story’s setting. Th theme is universal and applied correctly to the culture portrayed. 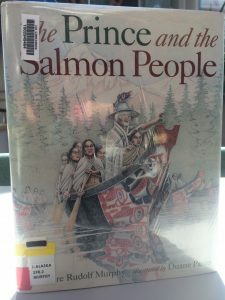 The Prince and the Salmon People provide opportunities to consider multiple perspectives, as many oral narratives do, providing views the treatment of animals and fish as beings deserving and requiring respect. The cultural values were clearly expressed and beautifully illustrated and blended with the anthropological research and artifacts representative of a rich and living culture. 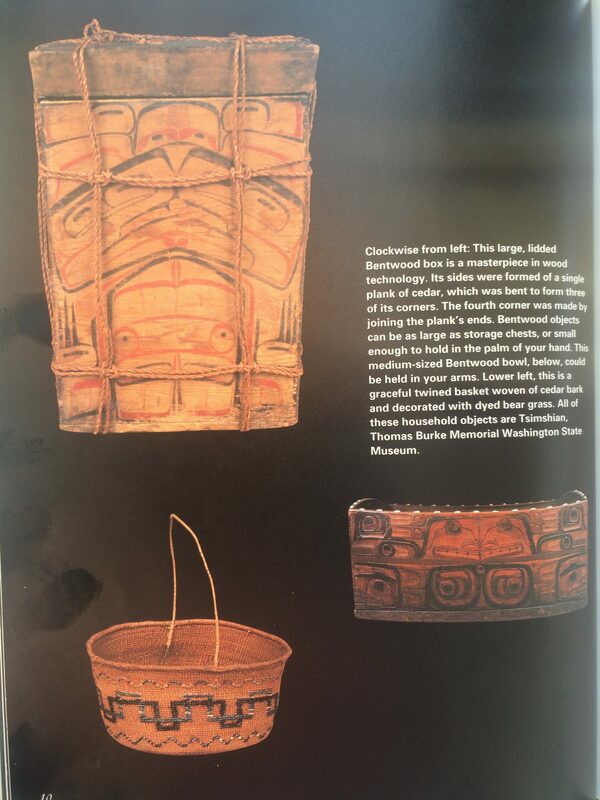 As a science teacher I could see using this book for the introduction of a number of lessons regarding salmon life cycles, the 5 salmon species and the timing of their migrations, salmon food preservation and bentwood boxes. Jasmine, You always set a high standard for blog posts that has led me to add more use of media. It was great to see the artwork of the book which is quite beautiful. It was really refreshing to hear the use of children’s book in secondary classroom and even better to be read to and hear the emotion of Kathy Neilson’s voice as she read a book she’s read so many times. You bring up some interesting points with solid background knowledge. Stop it, already! Thanks for setting the bar high! I like how you dissected this book for its portrayal of culturally accurate characters and authentic setting. 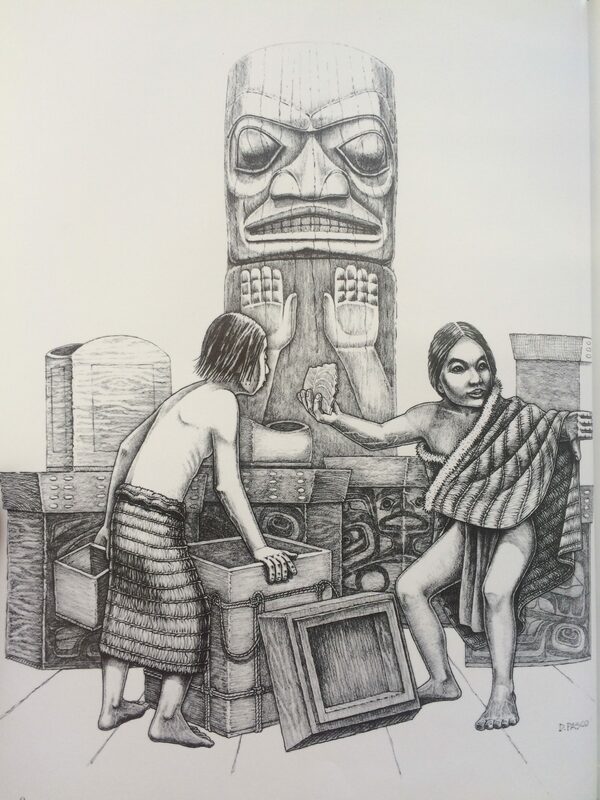 I think that often shamanism is portrayed as mythical, exotic, or magic…I took a class on shamanism and they are considered the most important members of a community across many cultures-they are healers, leaders, and the liaison between the real world and spirit world. Thank you for taking time to explain this book in great detail. I agree with Lindsay, and would like to thank you for the way “you dissected this book for its portrayal of culturally accurate characters and authentic setting.” The time you took to describe and explain the setting was well spent. Beyond that, I like how many pictures you added to this post and the time you took to thoroughly complete this post. 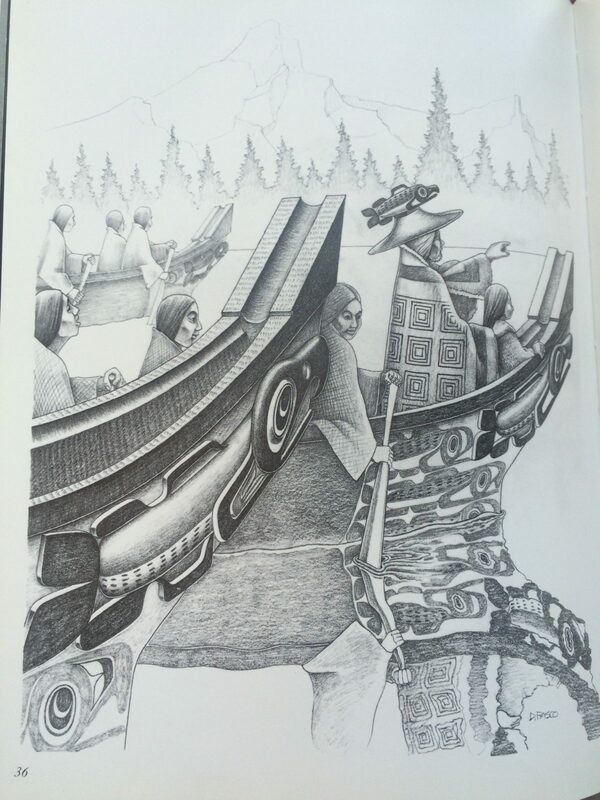 I would love to read that book, I think it sounds similar to a Tlingit story that I know. I am blown away at your level of reflection and how well organized your thought are.